New Flora of the British Isles was conceived in 1983. 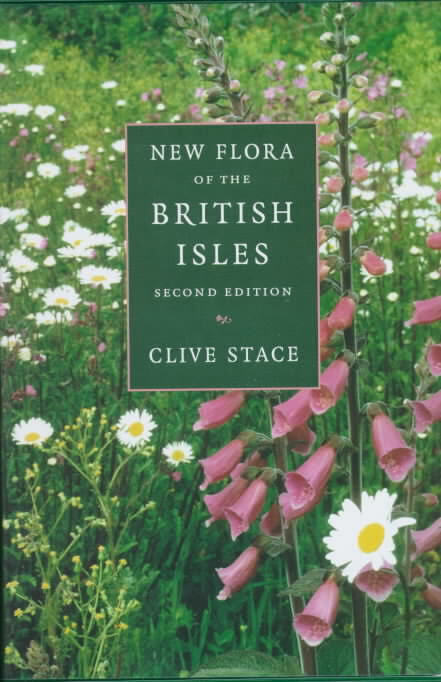 In 1973 a project was designed by an informal group of six botanists (David Valentine, Max Walters, Arthur Chater, Peter Sell, John Cannon and Clive Stace) aimed at producing for the first time a full and critical multi-volume Flora of the British Isles. However, this idea was abandoned in 1983 due to lack of funds, and it is now difficult to see how it will ever come to fruition. Because a good deal of preparatory ground-work had already been carried out by Clive, he decided to go ahead alone, working on the concept of a single volume covering a far wider and more realistic range of species than had ever been attempted previously. This task was completed in seven years, working almost entirely outside University hours in the evenings and at weekends. The project from the start was a joint effort with Clive’s wife, Margaret; C & M Floristics was set up later in 1992. Margaret input the original text, carried out the desk-top publishing and produced camera-ready copy using a BBC computer with 32kb memory and no hard drive, and a daisy-wheel printer capable of producing only non-proportionally spaced text. The publisher of the first three editions was Cambridge University Press, and the first edition was produced in 1991. It was decided that a limited number of diagnostic illustrations would be provided. These comprise over 50 photographs (including light and electron micrographs) and about 125 line drawings. The great majority of the latter were the work of Hilli Thompson, whose careful and accurate work we had noticed in other publications. We were delighted when she agreed to provide drawings for our Flora. By the time of the second edition in 1997 technology had moved on considerably, so we could produce proportionally spaced text using a better computer and a laser printer to generate the CRC. Field Flora of the British Isles, published in 1999, is a concise version based on the second edition of the New Flora. In the third edition Margaret was able to incorporate drawings and photographs into the text electronically and to improve the whole book aesthetically, so that Cambridge University Press could be provided with PDFs rather than the old CRC. The fourth edition is being published by C & M Floristics.